Hi there! I just wanted to take some time to share my story a bit more so you understand a little bit more about me and why I’m even qualified to own a marriage blog in the first place. 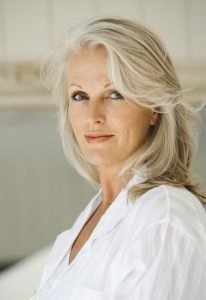 My name is Brie Walter and without disclosing my full age, I’ll just say that I’m at the ripe age of over fifty! And I actually got married many, many years ago, when I was just 22 years old. But lo and behold, I have been happily married to my husband for all these years. For that I am truly blessed and I thank God every day for helping my husband and I fight through our issues and come out of every disagreement unscathed. You see, marriage is a lot more than just the bells and whistles of buying a wedding dress, having a beautiful wedding ceremony, and the honeymoon that follows. Once that all ends, it’s time to get to work. Because that’s what marriage is. At least it is if you want it to last a lifetime. I’ve been through all the ups and downs of marriage (not to mention life) already. And as a way of giving back and being thankful for the life that God has given me, I want to share all of my knowledge with anyone who is willing to listen.